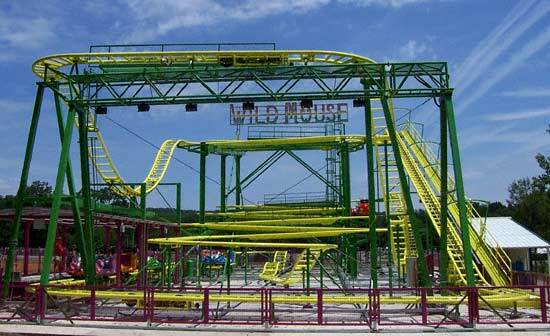 On July 28, 2005 I was invited to Beech Bend Park for the announcement of their new for 2006 wooden coaster. 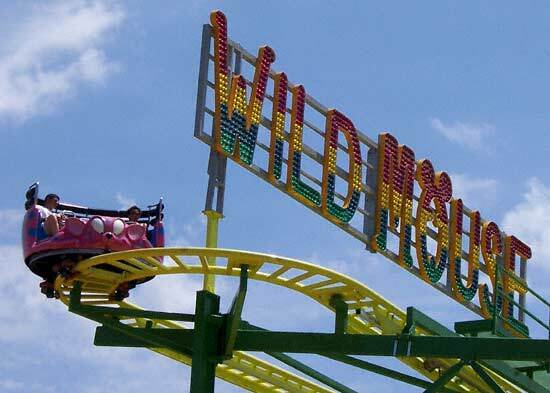 After the announcement I had time to roam the park including getting several rides on Beech Bend's newest attraction the Wild Mouse. 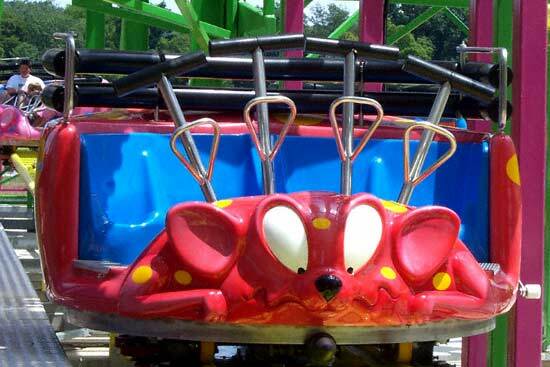 The Wild Mouse seats four people in each car and most definitely looks like a rodent even though I haven't seen too many pink, red and green mice scurrying about. 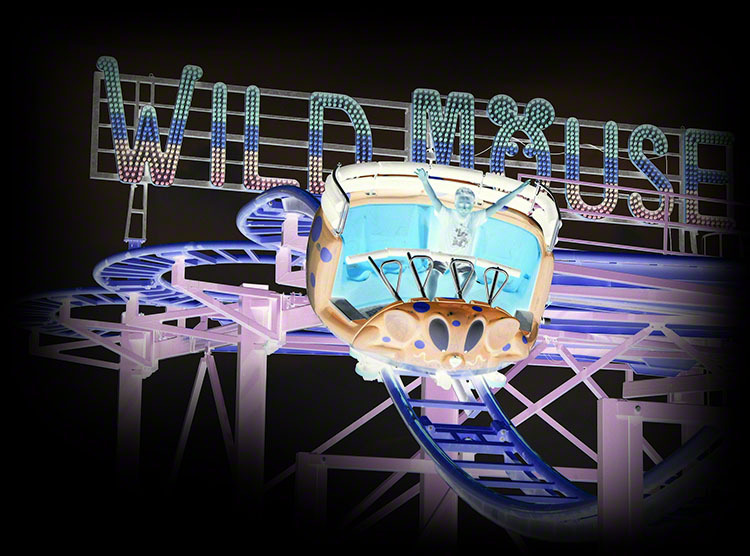 Yes that is a green & red polka dotted mouse heading up the Wild Mouse's lift hill. 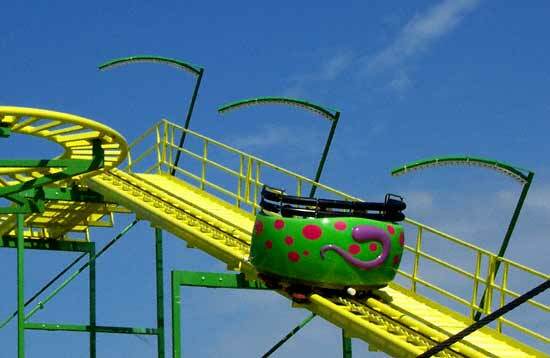 Like your standard mouse coaster there are plenty of tight turns as you weave back and forth over it.